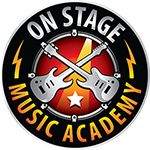 Our Piano lessons and Keyboard lessons for kids, teens, and adults – from the beginner enthusiast to the intermediate player to the advanced performer. Our program is built with the perfect blend of education and fun. Beginners learn new chords and how to play with others while developing the skills you need to grow into a trained soloist musician – always at your pace. Warm-ups- Most don’t know that piano playing can be some serious work, especially on those fingers and wrists! If you are practicing a lot (as you should be! ), it is very important to warm up those fingers and wrists with stretches and exercises. Not only will it make your playing smoother, but you will avoid injuries like carpal tunnel in the long run. We will start every lesson with quick warm ups that you can do at home while practicing by yourself. Song work-All of our piano lessons are focused on song work. The best way to learn is by playing the music that inspired you to play the piano in the first place! Don't be intimidated if you are a beginner, songs like “Yellow Submarine” by the Beatles are easier to play than you think! You will be surprised at what you can play in your very first lesson! Technique and Musicianship- To grow into a better musician, we will give you some skill building work that will help you hear what is working, and how it works. These take the form of exercises, scales, chord changing, and ear training practice. We will help you build your personal arsenal of techniques and skills that you can use to solo, improvise, and even compose your own music. Music Theory- You will learn music theory through the song, technique, and style that you are currently working on in your piano and keyboards lesson. To put it simply, we don’t just teach you HOW to play, but WHY it works. You will walk away with a rich understanding of music and the ability to play whatever is on your mind, with and without sheet music! 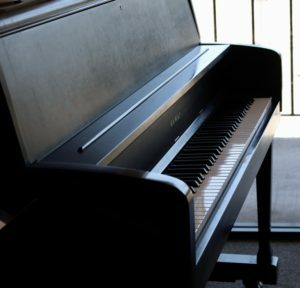 What to do when you are not here- one of the most difficult barriers to overcome while learning Piano and keyboards is knowing exactly what to practice. Sure, they all say, “PRACTICE! PRACTICE! PRACTICE!”, but what and how do you practice? At the end of our voice lessons, we will discuss what we learned along with why we learned it. We will let you know exactly what you need to take home and how to practice it before next week’s lesson so that you are constantly growing.